It’s long been believed in Chicago that the Cubs streak of futility was caused when a man wasn’t allowed to bring his lucky goat into the stadium during the 1945 World Series but perhaps the source of all the team’s failures is someone else, famed illustrator Norman Rockwell. 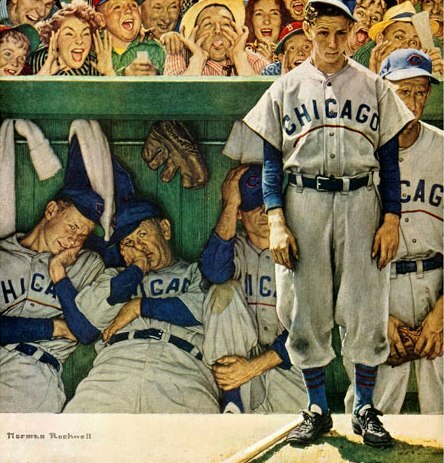 In an iconic 1948 painting entitled, “The Dugout,” Rockwell painted a forlorn Cubs batboy resigned to yet another failure, in the background are slumped over Cubs players and managers and over them are jeering, disappointed fans. Not a pretty picture. A study for the final piece (that’s housed down the street from where I live at the Brooklyn Museum) was recently sold to a private collector for $662,500. The original picture was the cover for a 1948 Saturday Evening Post and was done in Boston prior to a Boston Braves/Cubs game; in fact the batboy isn’t a member of the Cubs but was the visiting team’s assigned batboy and actually a Boston native. 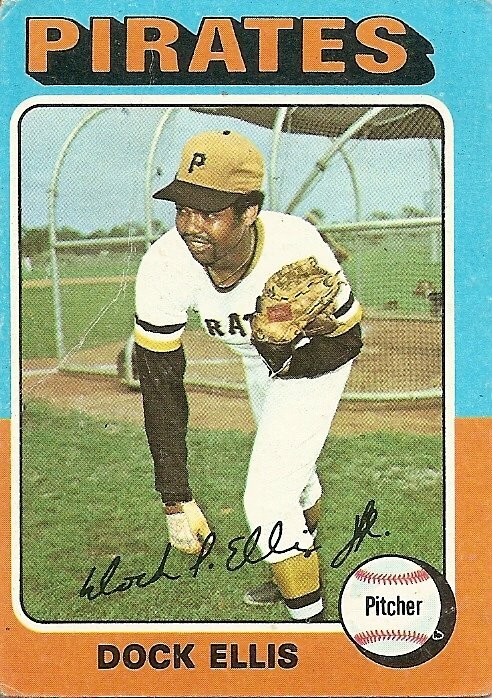 After the Cubs posed for the picture the lost both ends of a doubleheader, their catcher (who is directly behind the batboy) was beaned in the head. On the day the cover was published, Sept. 4,1948, the Cubs lost 6-0 to the Brooklyn Dodgers; All Star pitcher Johnny Schmitz who stands to the right of the batboy gave up 5 runs in 3 innings during that game.